Hans Weik was born on 6 July 1922 at Heilbronn in Württemberg. He joined the Luftwaffe in October 1941. Following completion of his flying training, Weik was posted to I./JG 3 based on the Eastern front. On 21 February 1943, as a Leutnant, he joined the Geschwaderstab of JG 3. His first victory was achieved on 9 March 1943 when he shot down a Russian Yak-1 fighter. He was to record 10 victories during his time in Russia, including two victories on 21 April to record his 10th and 11th victories. From May to November 1943, Weik served as fighter pilot instructor with 4./Ergänzungs-Jagdgruppe Ost. However, his duties as an instructor did not preclude combat for on 6 September 1943, he downed his first four-engined bomber, a USAAF B-17. In November 1943, Weik was transfered to 9./JG 3. 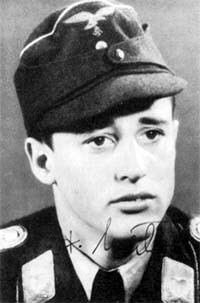 On 10 February 1944, Oberleutnant Alfred Humer (21 victories), Staffelkapitän of 10./JG 3, was killed in action and Weik was named his successor.  He received the Deutsches Kreuz in Gold on 10 May. Between February and July, Weik was to claim 23 victories, including 20 four-engined bombers, in only 85 combat missions. He recorded two four-engined bombers shot down on 8 March (20-21). He was to record two victories on four other occasions. Weik also recorded three victories on 24 April and 8 May. On 18 July, he destroyed a USAAF B-17 four-engined bomber, but he had to bale out of his damaged Fw 190A-8/R2 (W.Nr. 680 747) "White 7" wounded in the shoulder and arm. The wounds were serious enough to keep Weik from any further front line duties. On 27 July, Oberleutnant Weik was awarded the Ritterkreuz for 36 victories. In April 1945, Weik was transferred to III./ EJG 2 at Lechfeld to train on the Me 262 jet fighter. Post war, Weik studied architecture. He planned and built many schools, sports auditoriums and other buildings. In retirement, Weik indulged his passion for model shipbuilding. Weik died at the age of 78 on 5 June 2001 at Heidenheim an der Brenz. Hans Weik was credited with 36 victories in only 85 missions. He recorded , 25 victories over the Western Front, including 22 four-engined bombers. He was one of the foremost Viermottöters.